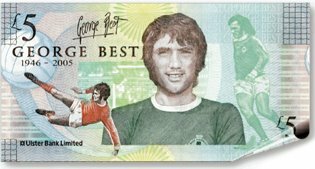 until i saw this i always thought that george was only a left footer. as famous as his play are his quotes. I totally agree.....does anyone seriosuly think Pele, Cruyff and Maradonna could play as well as Best whilst suffering from a hangover and dealing with bad haircuts? Ok, maybe Maradonna could compete on the bad haircut front!